Bible Cartoons: 1 Thessalonians goes green! 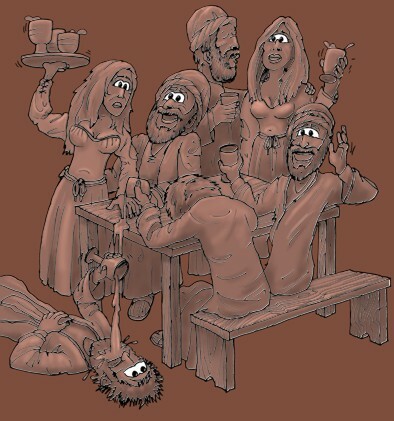 I have just completed my very first Bible Cartoon for the New Testament book 1 Thessalonians – hurray! And that means on the Search by Bible Book page, the previously red box (indicating no Bible Cartoons drawn for that book) has now turned green (indicating that a Bible Cartoons HAS been drawn for that book) – yippee! 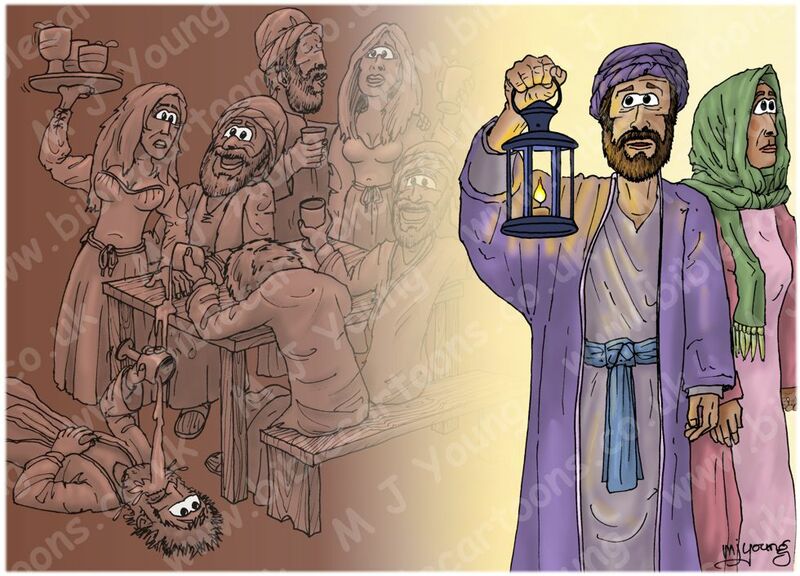 The picture shows a contrast in behaviour between Christians & non-Christians, as outlined in the Bible text. It is a literal version of what the apostle Paul wrote to the church in Thessalonica. He was pointing out to the Thessalonian church that there should be a difference between the behaviour of a Christian, when compared to a non-Christian. In this particular case the apostle Paul explains that Christians are “of the day” & “of the light”; they should be self-controlled, & alert, particularly to the coming “Day of the Lord”, i.e. the 2nd coming of Jesus the Christ. Paul points out that things done at night by unbelievers (for example getting drunk) should not be done by Christians.